The Jackpot Casino is located in Carson City, Nevada. The cozy slots venue offers approximately 182 gaming machines, which includes video poker and slots, with a wide variety of denominations and titles. The gambling action also includes a race and sports book and offers Texas Hold'em on the weekends. The casino also has an on-site full-service bar as well. Jackpot Crossing is a cozy slots venue with approximately 182 gaming machines including video poker and slots with a wide variety of denominations and titles. In addition to all of the gaming machine action, the casino also has a race and sports book and offers Texas Hold'em on the weekends. There is also a full-service bar on site, but no restaurant. According to Jackpot Crossing management, the casino offers Texas Hold'em on one live table on the weekends, and depending on demand, does have another table available. 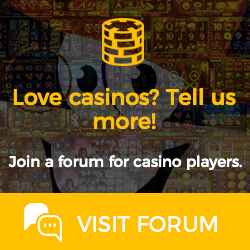 There are currently no news regarding Jackpot Crossing. The full-service bar at Jackpot Crossing serves a variety of the standard libations, including bar, wine, and a variety of spirits. The casino currently does not have a restaurant and the bar does not offer snacks of any kind. There is, however, a vending machine with snacks if you are so inclined.